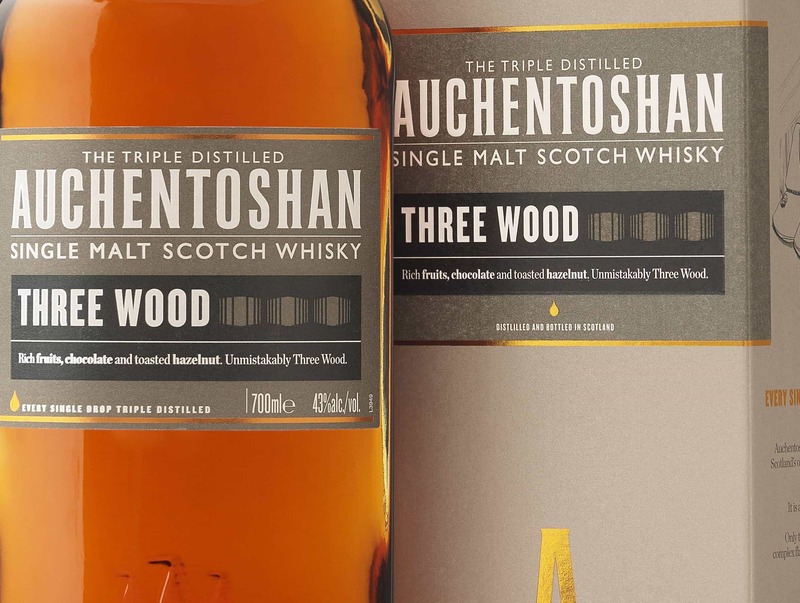 Auchentoshan is the distillery closest to Glasgow – it’s even got a Glasgow postcode and it’s just off the Great Western Road on the way to Loch Lomond. It’s got a bit of a storied history – established in 1800 and has been through a range of hands since then, settling finally with Morrison Bowmore – now a member of the Suntory group, who seem to be content to ensure that great whisky continues to be made. They are unique in Scotland for triple distilling every drop of whisky – a characteristic of Irish whiskeys, though they use all malted barley unlike Irish whiskeys, creating a whisky with a real scotch character but reminiscent of and approachable by connoisseurs of Irish blends & malts. There are, of course, some excellent experimental whiskies i.e. the Bruichladdich X4 which we have yet to try that are distilled more than twice (if anyone would like to share a dram with us, please do bring some), but we’re speaking in general, now. 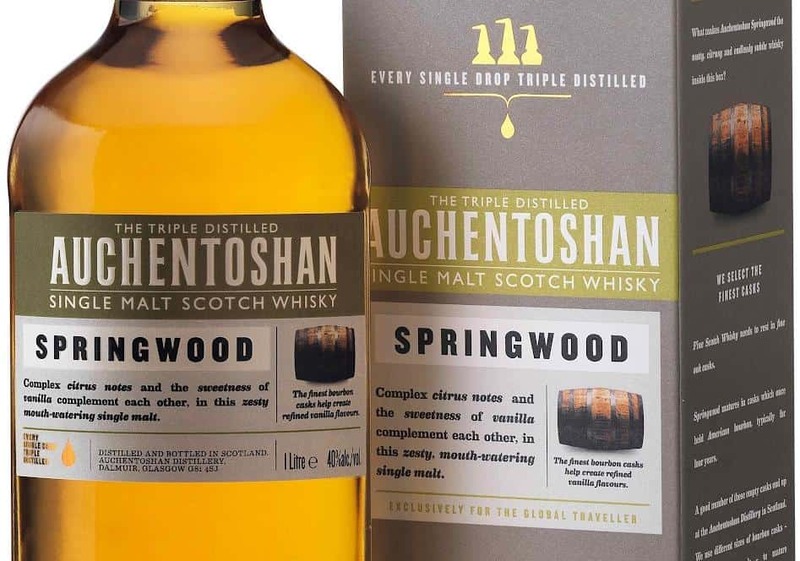 Their generally unpeated malts are a bit sweet and easy on the tongue; they are fairly classic lowland malts and approachable. 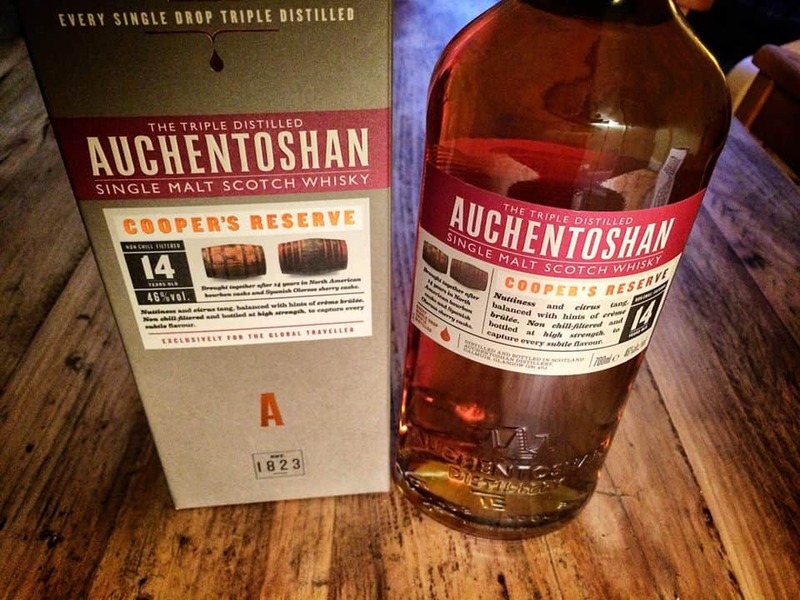 Auchentoshan (my that is a difficult word to type) fare well in international spirit competitions. After tasting this in the shop, I thought that it would go down a treat in Dublin. Colour: Demerara sugar (that’s raw sugar) – glowing in the light. On the nose – vanilla and spice – though a slightly funny vanilla, almost like imitation vanilla extract, somehow. Still, promising. On the tongue: Warm, bright, a little bit citrussy. Classic lowland malt with a hint of sweetness. Goes a little flat in the middle with a gentle finish. This whisky isn’t going to win any awards. It’s not anything massively fabulously special, but it’s a fine, well-crafted single malt at a blended price. Last week it was 2 litres for £45 at Heathrow, which is a mad bargain for something of this quality. A completely decent malt to bring on a business trip or as an everyday drink – or, I daresay, if you were going to make whisky-infused bread. Or in a cocktail.